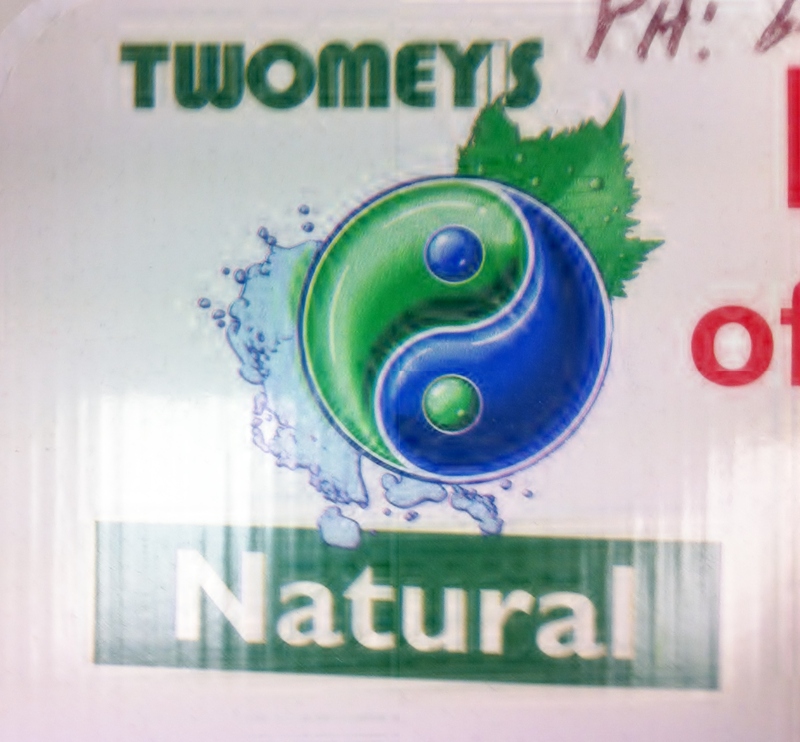 So over the last few weeks I have been chatting with a delightful man named Gerrard Twomey who is the founder/director/producer of a range of natural sports and arthritis creams called Twomey’s. Gerrard, knowing I was a fitness enthusiast called me to ask me if I’d like to do a trial with some of his all natural products to see if it improves my running times as he believed that the latest creams he had developed would help with muscle repair and the growth of new tissues to consequently give me ‘stronger muscles’. He explained that trials had been done with cancer patients, burns victims and people with similar conditions which had been successful in reducing recovery time but that he believed that from a performance perspective the creams could also be beneficial for strength. Understandably this could be tested with your average joe blow but because joe blow doesn’t train on the same basis or with the same intensity as an athlete the variables would be greater on which to base the results. Hence he thought that an amateur athlete would be a better testing subject because we are more likely to experience a larger measurable difference that could then be attributed to his product. Now for all the readers out there who are familiar with chinese and indian herbal medicines I aplogise in advance for my lack of understanding on the subject. Gerrard who is knowledgeable in these areas did relay the information to me with perfect sense and with what seemed like scientific and photographic support however it is only through my lack of interpretation that the science may be lost in this post as I try to explain the basis behind it all. So the idea behind it goes, that the Cleansing creams are designed to work to cleanse the body of damaged red blood cells, and Ch’i (energy) blockages caused by injury, muscle knots, and the build up of other toxins in the body etc, by being absorbed through the skin into the body to block the hormones that cause pain, injury, inflammation etc. Then Twomeys muscle repair cream is rubbed into the affected areas after two days of cleansing to promote the growth of new tissue and production of repairing hormones so that recovery time is reduced, and strength improved. This repair cream can then be used whenever a niggle is found. Now before you start rolling your eyes at the thought Ch’i energy flows and invisible meridian channels lets just remember that that Meridian Lines in the body are the basis for Traditional Chinese acupuncture and also Tai Chi. Both of which have had some success in western countries in improving a range of disorders such as anxiety, arthritis, fatigue, joint stiffness and stress and for some but not all medical conditions. Some research is encouraging but other studies do suggest these effects maybe due to the placebo effect. I have used acupuncture before and I believe it can be effective to release knots in the muscles and tension through the body. If this means I believe in meridian lines and Chi then I guess I do. Also I’m not sure the placebo effect is such a bad thing, I strongly believe the in the power of the mind. And besides, anything which remains non invasive and natural that has me running better at this stage is something I’m willing to try even if it just gets my brain thinking positively, plus Bruce Lee practiced tai chi and whats good enough for Bruce Lee is good enough for me. So I had a physical evaluation with Gerry through some simple testing first. He put pressure on certain acupuncture points relating to different areas of the body and told me I have a blocked large intestine which may be resulting in the lack of absorption of necessary vitamins and nutrients so first and foremost he recommended a herbal colon cleanse. He wrapped up some herbs for me and said I should do this first before using the creams otherwise they may not be absorbed as well and make sure I stay close to a bathroom as I would probably be needing to visit it often. Second he told me my kidneys weren’t quite functioning properly (apparently this was visible by the dark marks under my eyes). This he also said was most likely from the running supplements used during my last ultra in combination with any additional sugar I have been eating (those M&M’s at the movies last night must’ve showed!). He said it should be improved by the colon cleanse. He then handed me two tubs of two different sorts of creams. One was a cleansing cream that I was to rub all over my lower body and limbs twice a day for two days. Then the very next day I should use the repair cream to promote the growth of tissue and that it could then be used after that day whenever I felt I had a niggle or difficult spot that might need to be healed. 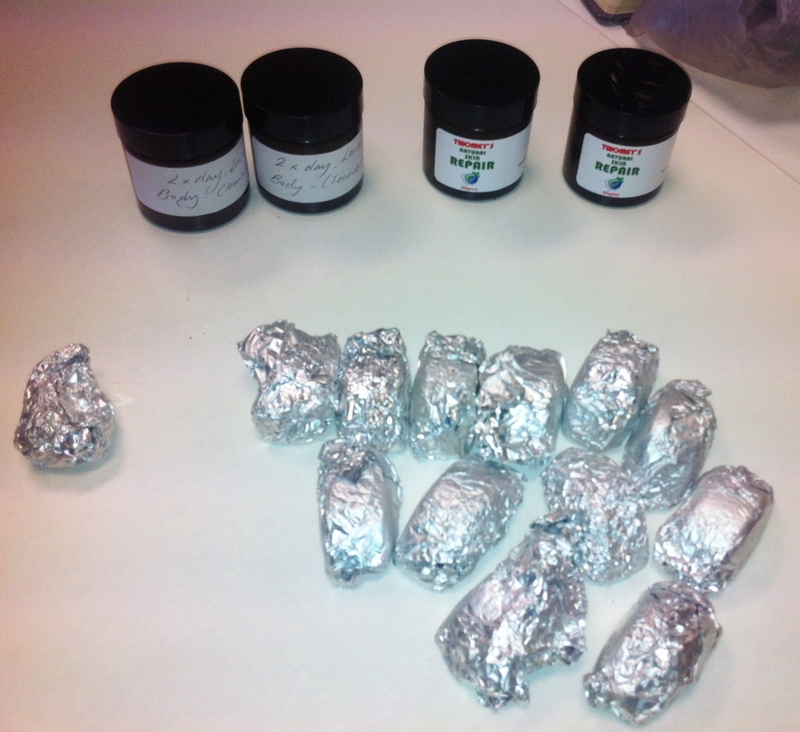 Another interesting goodie that Gerry left me with was some homemade chocolates, packed full of goodness for energy. They have cacao, bee pollen, cranberries and spirulina in them and they taste pretty good. So I will also try a few of them throughout the experiment for pre run fuelling. Saturday – I will perform a 5km benchmark run. A distance I can run with relative ease which is not likely to fatigue me to the point that will effect the experiment because my body cannot handle it. Sunday – I will do the Colon Cleanse. Hopefully the only running I will be doing this day will be to the toilet. Start using the cleansing cream that night. 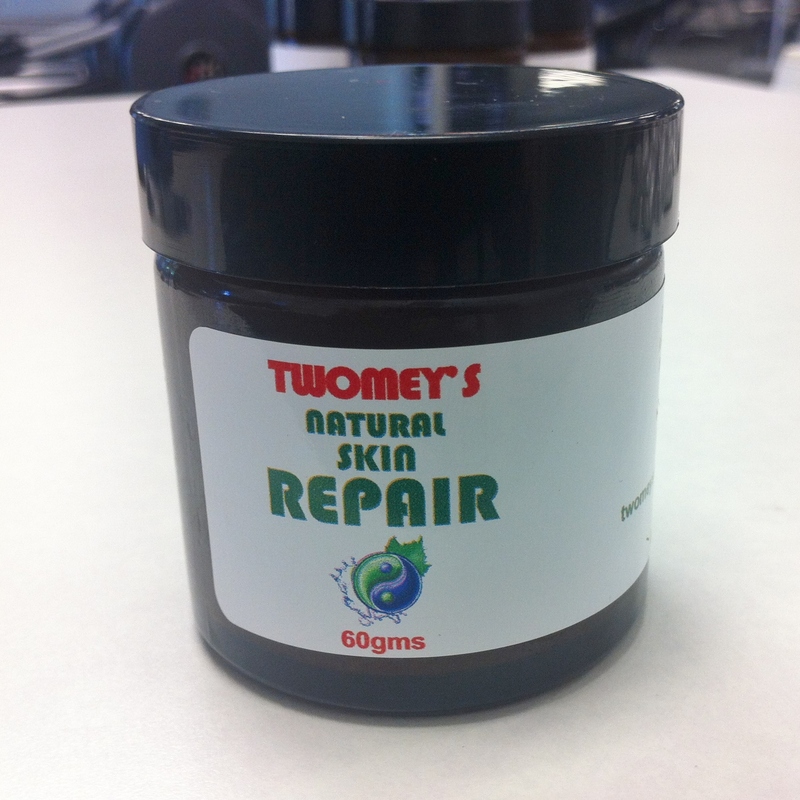 Thursday – Use repair cream in the morning (pre run) and run boxing day 30km run. Wish me luck!!! Look for updates to come! !